Kaunas University of Technology (KTU) Master’s study programme Marketing Management has been accredited by the Chartered Institute of Marketing (CIM). From now on the graduates of the programme will gain a world-renowned and highly regarded professional qualification. “I am very pleased that the KTU Master’s studies Marketing Management has become the first study programme in Lithuania accredited by CIM. 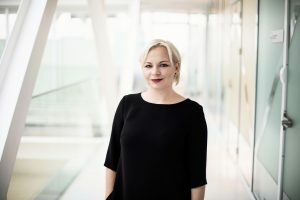 The recognition of the unified global marketing profession is another indicator of its quality, not to mention the opportunities which now are open to our students”, says Dr Žaneta Piligrimienė, director of the programme. During the CIM accreditation process the content and training of the study programme Marketing Management were reviewed, and its compliance with professional marketing standards that are the same across whole Europe was assessed. The contents of the Marketing Management programme corresponded to the qualifications defined by CIM, and therefore its students will be given modules compulsory for obtaining a professional certificate. As a result, the students and graduates of the programme will be allowed only to take one exam instead of the usual two or three required for obtaining a professional certificate. “KTU has joined forces with CIM to provide its students the opportunity to gain professional qualifications through the CIM Graduate Gateway. CIM qualifications are highly sought after by employers, and their content is reflected in our own degrees which ensures we are equipping students with the best opportunities for a successful marketing career”, Ian Marshall, Head of CIM‘s International Relations. CIM is the world’s leading professional marketing body with over 28,000 members worldwide, including more than 3,000 Chartered Marketers. Its mission is to develop marketing profession, to maintain its professional standards, and to develop practical marketing skills. CIM belongs to the largest European Confederation of Marketing (EMC), which represents marketing, sales and communication associations in Europe and beyond. The CIM Graduate Gateway Program is designed to collaborate with university communities. The Master’s programme Marketing Management is delivered by the KTU School of Economics and Business (SEB), which is continuously improving the quality of its studies. In addition to high quality studies by world-class professionals, the students of the Faculty have the opportunity to gain international qualifications alongside their degree. Students of the Accounting and Audit study programme which is accredited by the Association of Chartered Certified Accountants (ACCA)) may seek internationally recognized professional qualifications while studying. KTU also seeks an accreditation of The International Chartered Financial Analyst (CFA) for Finance studies. Postgraduate students from the KTU Finance Studies programme have the opportunity to prepare for the certification of a Chartered Financial Analyst (CFA). 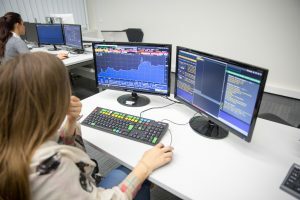 Students and graduates in the Bloomberg Financial Markets Laboratory also can pass the Bloomberg Market Concepts (BMC) test and get Certification which confirms their ability to use the Bloomberg Terminal.